Cavalry Logistics third-party freight brokerage provider, announced today the expansion of its brand to include the U.S. and Canadian customs brokerage and international freight forwarding service offerings of Universal Logistics Solutions International, Inc., Custom Services International, Ltd., and Advanced Border Processing Centre, Inc. 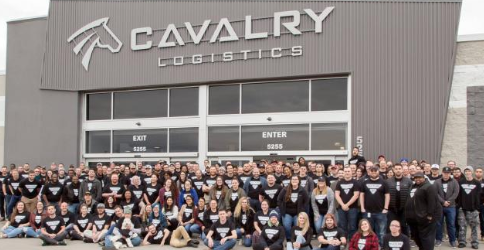 In connection with the rebranding, Cavalry combined the existing businesses under a single identity, Cavalry Logistics International, Inc. (CLI). Headquartered in Nashville, TN, Cavalry is a wholly-owned subsidiary of Universal Logistics Holdings, Inc. (NASDAQ: ULH). Already existing subsidiaries of Universal, the reorganization better aligns the full-service freight brokerage capabilities of the Cavalry brand and puts the U.S. and Canadian customs brokerage and international freight forwarding arm under one roof. In addition to the expansion of U.S. and Canadian customs brokerage and international forwarding services, Cavalry has recently opened branches in Layton, UT, Chicago, IL, and Houston, TX, within the first few months of 2019. The Chicago location is already looking to expand out of its existing office in Itasca, IL, to a 30,000 sq. ft. facility located in Schaumburg, IL. “We have been taking our time with opening new facilities because we want to make sure that expansion fits well within our strategic plan and personnel direction. We understand that it takes time to build leaders that represent our core values. Our focus for new branches has now been directed to port cities — by design, we have invested in fewer locations than some of our competitors, but these locations will be much larger to better serve our customers. We ensure each Cavalry location will receive great training, build exceptional culture, and house world class technology. We will have more than 400 team members within our organization by the end of 2019; this is without sacrificing our core values, impacting our extremely low attrition rate, or taking dollars away from outside investments – we are very proud of this sound strategy,” King said. With the opening of their newest office in Charleston, SC, and the existing customs offices located in Detroit and Windsor, Cavalry will have a total of seven offices by the end of 2019, with goals to continue growing in 2020. These long-term goals will include expanding Windsor’s service offerings also to include freight brokerage forwarding solutions. Subsequently, these developments will drive the need for team members.